Dare we say it? The snow and cold is over so it’s time to celebrate. Because May is such a wonderful (and well-deserved) time in Colorado, you’ll find all kinds of outdoor festivities planned at BackCountry™, Highlands Ranch, and beyond. Sure, that occasional, rogue snowstorm can roll in, so don’t go planting your tomatoes and eggplant just yet. But do plan on hitting a few of the outdoor happenings listed below. Just bring a jacket to be on the safe side. Eat, drink, and discover your new favorite restaurant. For 21 years, The Taste of Highlands Ranch has brought the community together for food, wine, and fun. Held at the Eastridge Recreation Center, The Taste features sumptuous cuisine from more than 30 area restaurants and all you care to enjoy of wine, beer, and spirits. Savor a cold one outside at the ever popular beer garden with live music. $30 in advance, $35 day of event if not sold out. Must be 21+ to attend. Learn more. The original inspiration behind Cinco de Mayo is the heroism of the outnumbered Mexican army who fought off the French in 1862. 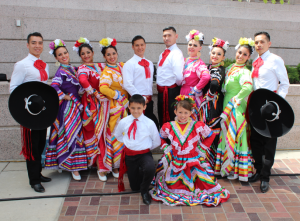 But along with honoring that struggle for freedom, there’s the sheer celebration of Latino culture—from the beauty of dance and music to the fun of Chihuahua races and taco-eating contests. Watch the parade downtown on Saturday at 11am, then make a day (or two) of it by exploring vendor and exhibitor booths and catching live performances. Learn more. Each year since 2004, the Five Points Jazz Festival has treated metro residents to an afternoon of around 40 incredibly talented and culturally diverse jazz performances from across the country: Latin, blues, funk, trios, youth-focused programming, and more. It all happens along Welton Street at eight different venues in the neighborhood. (Five Points was once known as the Harlem of the West, home to several jazz clubs that hosted legends such as Miles Davis, Thelonious Monk, and many more.) Come for the music, food, culture, and fun. Entrance is free. Learn more. Here’s the definition of gilding the lily. Sunset at the awe-inspiring Red Rocks amphitheater. Live concert or comedian. Audience participation contests. And the screening of a cult classic film. Now that’s a delightful evening. This year’s season of Film on the Rocks kicks off with The Hunger Games: Mockingjay Part 1, preceded by Strawberry Runners and Plume Varia. 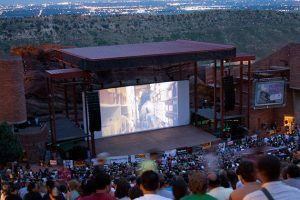 Doors open at 6:30 pm, bands begin playing at 7 pm, and movies start at dusk. General admission tickets $12; higher on day of show. VIP packages begin at $42. Learn more. Come celebrate Memorial Day, the end of school, or just the pleasure of hanging out with neighbors who’ve come out of hibernation too. Located next to the Sundial House, the pool area offers something for everyone with a big pool, splash pad, water feature, lap pool, and lounge chairs. Activities include face painting, games, grilling, and a DJ.